Just a few things which can increase wedding planning stress. There’s everyone else to please. There’s the comparison with other weddings. And who is going to sit next to who. Oh and it’s going to be the most amount of money you’ve spent on one day in your entire life. But don’t worry loads of different wedding companies have written blogs which are about 500 words which claim they’re going to solve your wedding planning stress in 8 easy steps. I hate to be the one to burst the bubble on this one but reading a quick blog whilst it might uplifting and have some good advice it’s not actually going to change much. Well don’t I just sound like Mr fun? There’s method to my madness though as I’ll get into shortly. I don’t want to be hating on these blogs because they are written with the very best of intentions and quite often they do have some bits and pieces in there which is good solid advice which will help but personally I think that the blogs are written completely backwards. Bear with me on this and allow me to explain. What if instead of following the trend of instantly following the countless memes about it being the most stressful thing ever you were able to not just “get through” your wedding planning but to actually LOVE it. Now I’m fully aware that there’s every chance that you’re looking at your screen in complete disbelief and wondering what I’m talking about – how would that even be possible? I’ll get to how in just a second but first I’m going to go off on a small tangent. Have you ever seen a meme or quote on Facebook that has rung utterly true with you so you shared it to your wall because it inspired you to make a change in your life etc? How many times have you actually followed through with this change and how many times have you been distracted by something else and not ended up doing it at all? This is the exact opposite of that. What I’m proposing is to be the inspiration behind you deciding to not have wedding planning stress by loving it and then actually backing it up with some absolutely rock solid advice on exactly how to EASILY do so. I’ll be honest, towards the earlier part of 2018 I nearly wrote a blog about wedding planning stress and how to overcome it – I feel fairly qualified to do this having worked at hundreds of weddings as well as being a trained cognitive behavioural hypnotherapist who has helped overcome anxiety, phobias and all sorts. The problem came when I started piecing together all of the advice that I’d want to give. There was absolutely golden advice I could give with regards to wedding planning tips from my experience but there was so much I wanted to say that was to do with a new approach to planning in terms of mindset that it in terms of length it was getting out of hand and every day I’d think of new things I wanted to add and more advice I wanted to include. It was in around May 2018 that I realised that what I wanted to say definitely couldn’t be contained in just a blog or even a series of blogs and so work on releasing it as a book began. Initial chapters and drafts that I shared with brides-to-be were widely praised and led me to deciding that it just had to be released so that more and more brides could actually start loving their wedding planning. 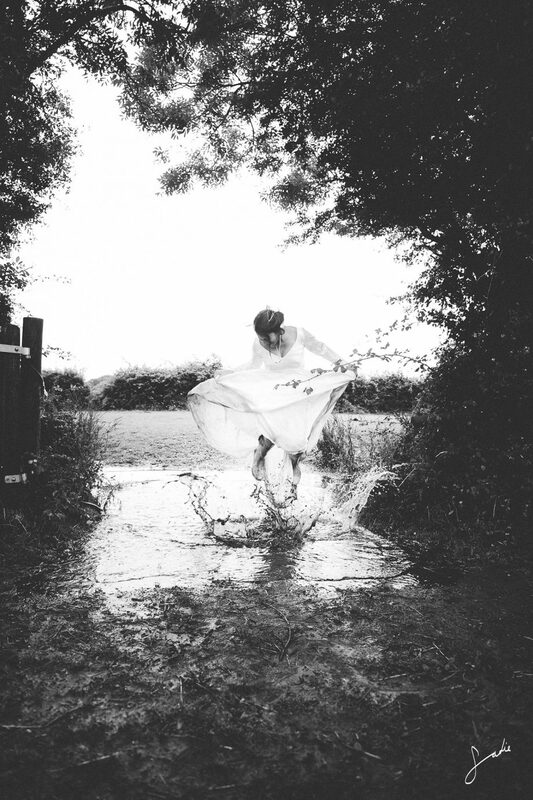 Are you bored of living up to other people’s expectations of your wedding day? Worried about pleasing other people? Panicking about people getting on and seating plans? 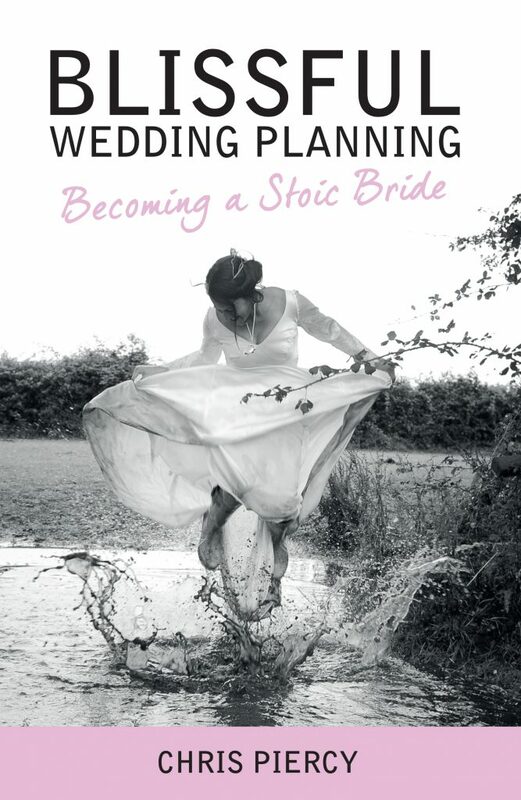 Then Blissful Wedding Planning: Becoming a Stoic Bride is the book that was literally written for someone like you – by the end of the first chapter you’ll already have a positive new approach. By the end of the book you’ll know how easy it is to enjoy every planning stage, without worrying about please everyone else. You don’t know who I am at all, or maybe you do, but I’m guessing you don’t so I can fully understand you not wanting just to part with your hard-earned money on a book you’ve never heard before from a guy you don’t know. Perhaps you’re ready to buy now and if so that’s wonderful news! and if you have Kindle unlimited you can follow the same link above and read the whole thing for FREE. If you’d just like some further wedding planning tips then you can check out my BLOG or if you’re into Podcasts then check out Yes to I Do on iTunes.